26 Jul Summer Party Planning? 5 Ways to Rock an Outdoor Party! Summer is a great time to have fun with friends, and planning an outdoor party provides a perfect setting. Particularly in Florida, beautiful sunsets and breathtaking views abound offering a great opportunity for planning a party sure to impress. But where do you start? The following offers 5 great ways to plan (and rock!) the perfect outdoor party in Florida. From setting the mood to novel entertainment ideas like casino parties, you can plan an awesome outdoor party with ease. Take a look at some of these great party planning ideas for your next summer get-together. You will want to amaze your guests from the moment they walk through the door. In Florida, planning the right outdoor setting for your party offers many options. Water views abound, and planning a party that overlooks the bay, the ocean, or a pristine lake is a great idea. Likewise, planning to take advantage of Florida’s natural landscape for your party can also be fantastic. Flowers, candles, tiki torches, and paper lanterns are other great considerations when planning your party in the Florida outdoors. These additions will enhance the inherent beauty of the natural surroundings and be certain to “wow” your guests. 2. Florida in the Summer – Comfort is Key! Florida provides incredible beauty, but in the summer, it can also be a bit warm! 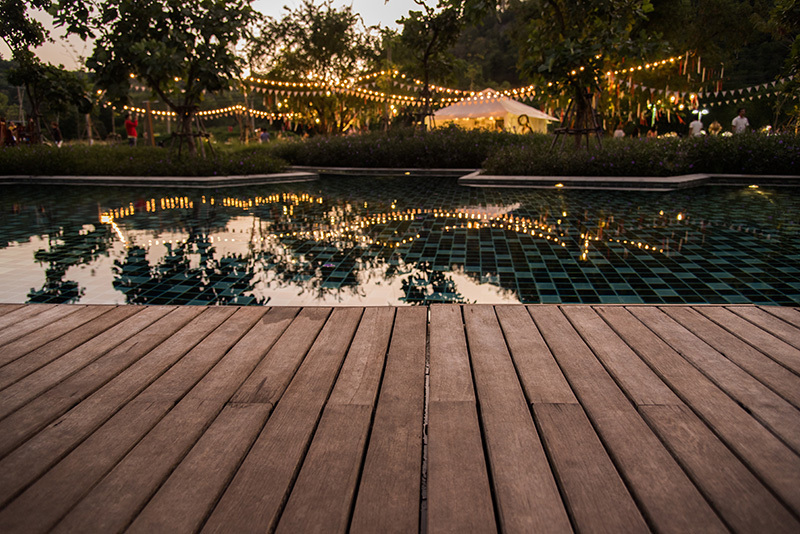 When planning a party in the outdoors, you will also want to make sure your guests are comfortable and content. Canopies are great for added shade and can provide shelter from the occasional rain shower. Cushy pillows and lounge style seating can also enhance your party’s comfort vibe. Fans, with misting systems if possible, is a good party planning consideration. And don’t forget about bugs sprays and citronella candles when planning your outdoor party in Florida. Planning the comforts of your guests outdoors can go a long way in making sure your party is a hit. This will help make your outdoor party memorable in the best sort of way. Colors, lighting, linens, and many other amenities should also be included as part of your outdoor party planning. But there is one caveat…let nature do its thing! The best outdoor parties in Florida are planned around your party’s natural environment. Choose floral arrangements, decorative lighting, and glassware that meshes with the outdoors. In other words, plan your party’s theme around the natural backdrop. You might choose a casual, relaxing theme if planning a party around sunset. Or you might prefer a lively, energetic vibe when planning an outdoor lake party. Both can be awesome, but let nature have a say in which style décor you choose. 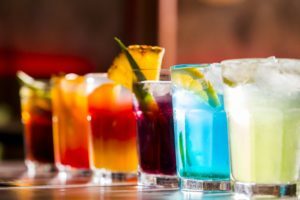 Rocking your outdoor party in the summer demands planning your party’s drinks and cocktails in the right way. With the Florida heat, ideal cocktails like Aperol spritzes are great choices when planning a summer party. Labeled “sunshine in a glass,” this favorite Italian libation is ideal for a hot afternoon outdoors. You will also want to plan your party’s refreshments around your party’s theme. And having a do-it-yourself drink station, well equipped with ice and coolers, offers you and your guests convenience. Lastly, be sure you provide plenty of water when planning your outdoor summer party. Hydration is important when it is hot and will help keep your party going! 5. 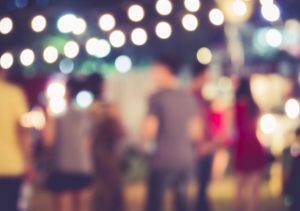 Outside the Box Party Planning – From Photo Booths to Casino Parties! Just because you’re planning a party outdoors doesn’t mean you can’t have awesome entertainment. 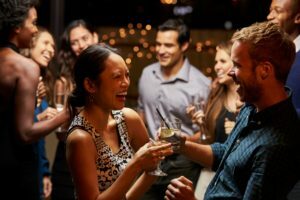 In fact, having unique and creative entertainment options can make your party one of the most memorable. Consider photo booths or various outdoor games for your guests. 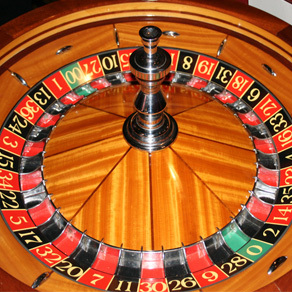 You might even plan a casino party equipped with Vegas-style dealers and casino tables. In addition to infusing your party with excitement and fun, planning a casino party will make your event the talk of the summer! Whatever entertainment you choose, from casino parties to a solo musician, be creative and unique. This will ensure your guests will walk away with an experience they will not soon forget. Party planning does take time and energy. And hosting an outdoor party can be a little exhausting. Because of this, it is important to keep in mind that this IS a party! Enlist the help of friends and outsource entertainment when needed (like the casino party planners described). Certainly, you want to impress your guests and make sure they have a great time. But you should enjoy your party and your friends in the process. Party planning thus involves planning for your own awesome time as well. With these key pieces of advice, you will be sure to plan the perfect outdoor summer party for all.